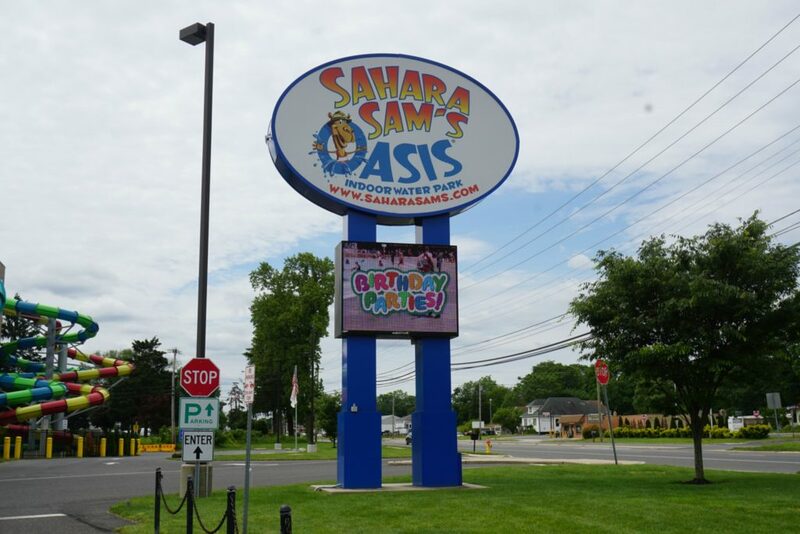 You are here: Home › Events & Outings › Sahara Sam’s Oasis Waterpark & Family 4 Pack Giveaway! Memorial Day is the unofficial start of summer; and well taking advantage that Henry had a few days off we decided to take a road trip! 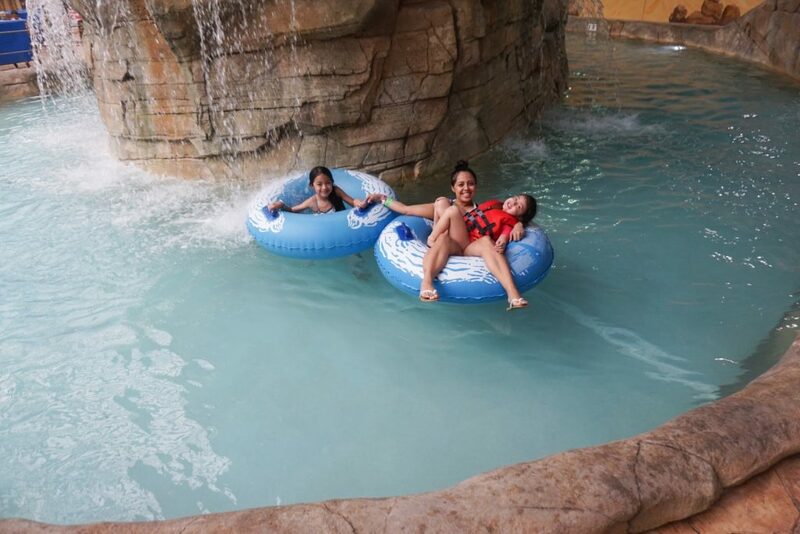 The trip was super last minute but we were able to pack one day before for our Sahara Sam’s Oasis Waterpark fun.I booked the hotel and we hoped for the best considering we were also bringing a newborn this time around. This was not our first time at Sahara Sam’s Oasis we had been there before during the winter months last year. So this year we really wanted to attend in the warmer months to experience the Outdoor Beach Club.I can tell you that being Outdoor was best for our family. 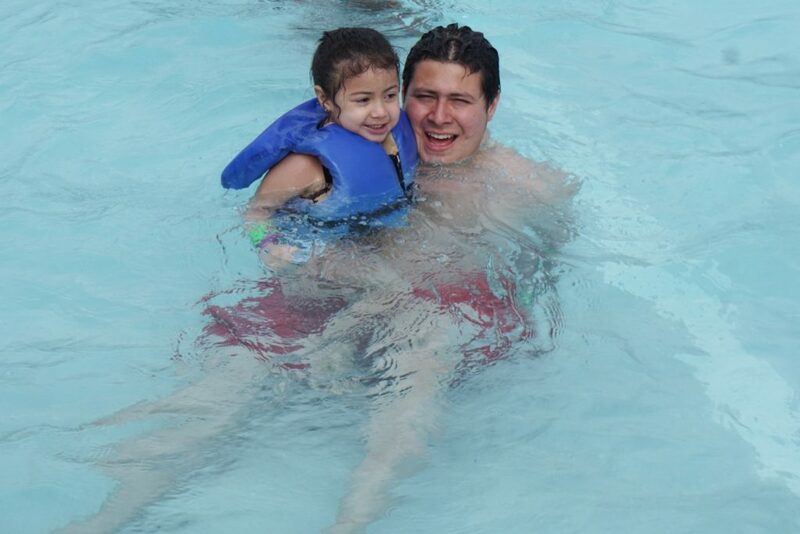 We all really enjoyed the breeze and the wave pool was a hit. The Beach Club is a massive outdoor water park open seasonally at Sahara Sam’s. Access is included at no additional cost to all guests – both members and day ticket holders. West Berlin, NJ 08091, 1 h 56 minutes from New York City and 2 h from Pennsylvania. We apply a high SPF sunscreen before we leave the house and then again several times during the day at the water park. Most water parks do not provide guests with towels. We put our towels down on hot chairs while sitting for lunch or lounging for quick dry. Protect their eyes from the harmful rays of the sun. 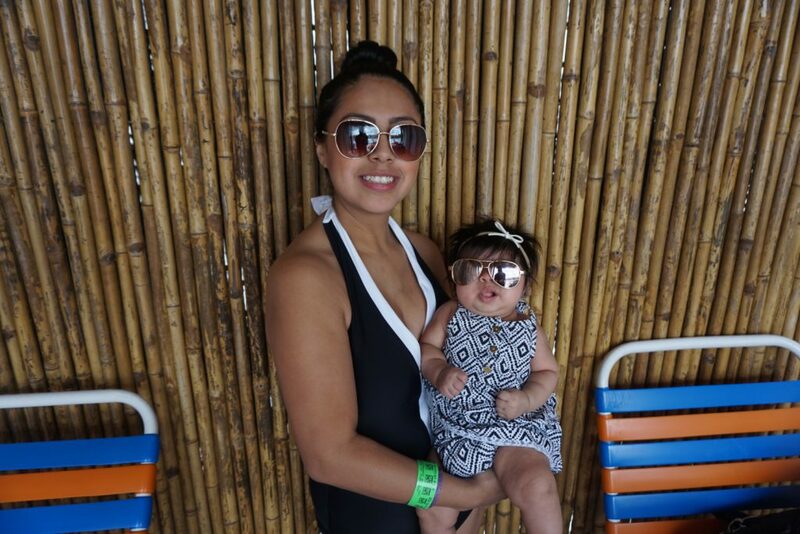 Babiators are our favorites. Undies and a change of clothes are important for when you leave the water park. My kids were super cold so packing leggings and a nice warm top is always a must when leaving the waterpark. Valid ALL day on days of full operation. Walk up price: 36.95. Available on select Thursday and Fridays when the park opens at 4:00 PM. Not available when the park is open for full day operation.Walk up price: 28.95. Unlimited visits for one year including the latest Sahara Sam’s EXPANSION – The Mirage, now open! Indoor and Outdoor Cabanas are available all year around for rental upon request. We called the night before to request, we were so happy that this space was available at the waterpark. It was perfect to have with our newborn Callie.It gave us the perfect amount of privacy to breastfeed and keep her shaded from the sun. Enjoy the beautiful views of one of our nine cabanas – overlooking the Tim-Buk-Tu and slide area or located in the BRAND NEW expansion, The Mirage. 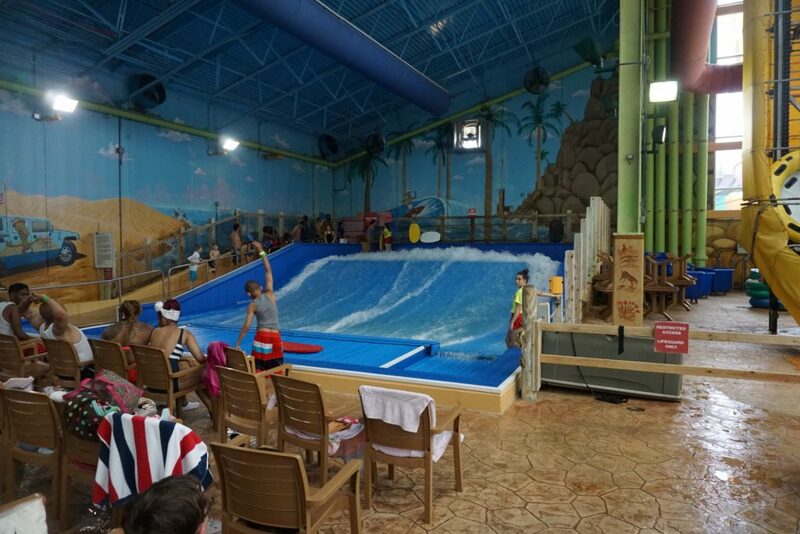 The FlowRider technology creates an everlasting wave for guests to “hang ten” and surf the night away (in a shark free environment). Rain or shine, FlowRider continues to produce the ultimate wave. You can perfect your style with practice, ride the tide on your belly, or pull up a chair for prime wipeout views; you’ll always have the chance to strut your stuff on FlowRider. The Congo Bongo gives guest a chance to slow down and take in the entire park. You’ll drift under the gardened terrace and float past the tropical warming pool. 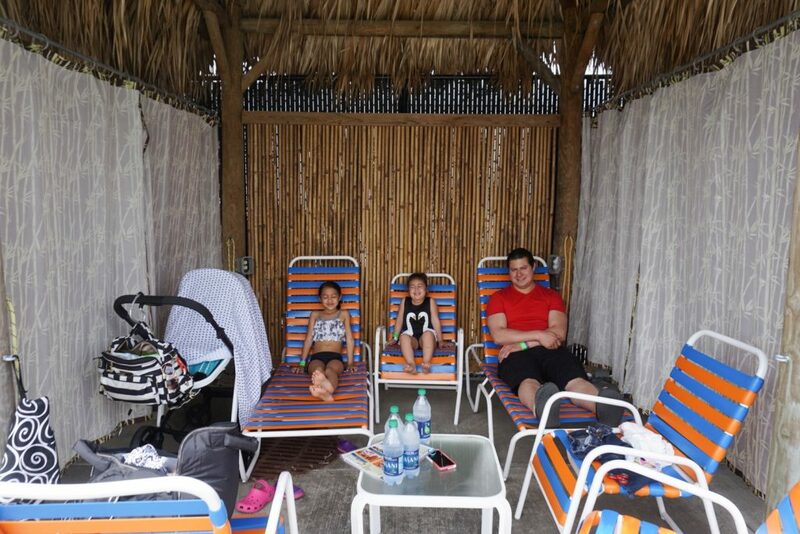 The warming tub is a big help when your super cold from the attractions.This warming tub should not be confused for a hot tub.It’s the perfect escape to paradise, Henry stayed with the kids while I relaxed and distress for a little. Sam dessert palm’s Cafe has great food and beverages available. Guests can indulge in everything from hand-crafted pizza to freshly prepared Italian sandwich specialties. 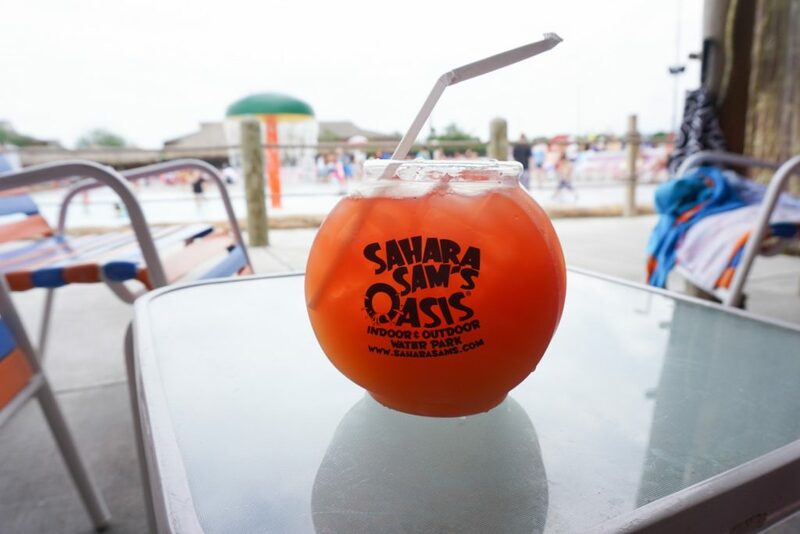 Pull up a seat, grab a bite to eat and try one of Sahara Sam’s many alcoholic tropical drinks. Ok, now if you thought that was awesome enter down below for a chance to win a 4- family pack ticket giveaway! This giveaway will end on Saturday June 17 at 12:00 am EST and a winner will be selected at random and announced on Sunday June 18. Visit our Youtube channel to see our Vlog from our trip! FTC:A huge Thank you to Sahara Sam’s Oasis for making this trip possible for my family. I was provided free tickets for review purposes only. All opinions expressed here are my own. 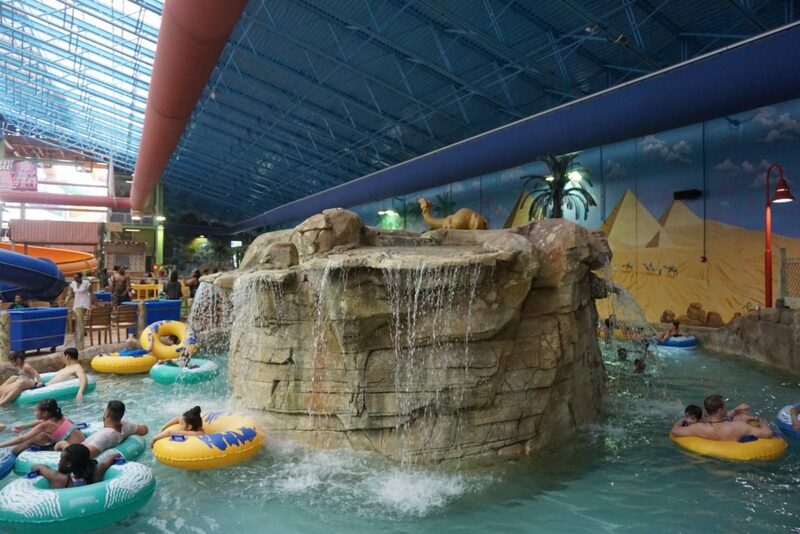 2 Responses to "Sahara Sam’s Oasis Waterpark & Family 4 Pack Giveaway!" Sahara Sams looks like so much fun!! Love going to the pool and doing many family bbq’s during the summer. Favorite summertime activity is swimming.